Massive Thank you to The Coca-Cola Thank You Fund for the amazing €10,000 to our new Sporting Leaders initiative. This project aims to help young athlete's become young coaches to help gain experience and inspire the next generation. Thank you to all our supporters on the public vote. 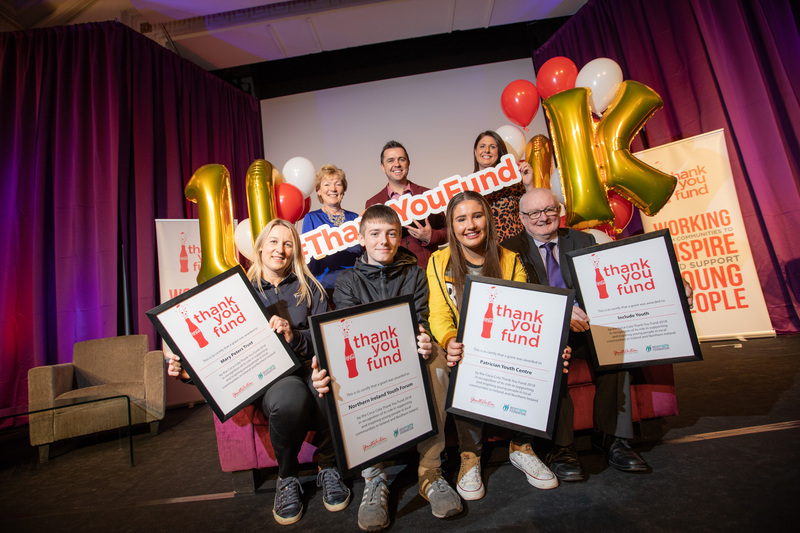 A total of €100,000 has been granted to 13 community groups across the Island of Ireland, five of which are from Northern Ireland, each receiving either €5,000 or €10,000 to help fund innovative projects to support and inspire young people. The community groups from Northern Ireland who are set to receive €10,000 grants are: Include Youth in Belfast, a rights based charity for children either in care or leaving care; Partrician Youth Centre, an activity centre for young people in Downpatrick; Mary Peter’s Trust; Willowfield Parish Community Association, a Belfast based community centre for local young people. The judges selected these projects for larger grants as they felt that each of them were unique and compelling and that with the €10,000 investment they could achieve sustainable impacts in their communities.